It is indeed. Catherine Pugh, the mayor of Baltimore, is standing about 4ft from the boy, while doing an excellent impression of not being able to hear the question bellowed from just behind her. Pugh takes her position behind an upturned orange plastic pail, along with an ensemble of school-age drummers and musicians fanned across the steps of the War Memorial, a neoclassical hulk occupying two entire blocks facing Baltimore City Hall. 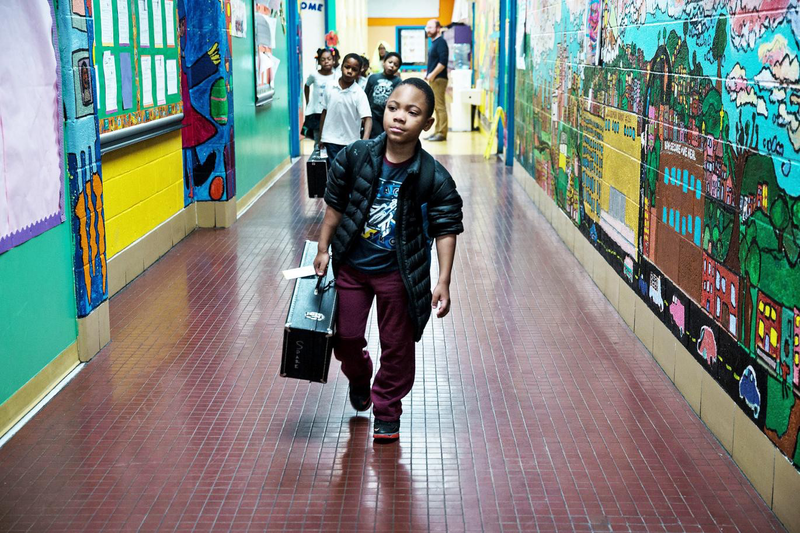 This “bucket band” crashes into a thunderous original composition called One Baltimore, a musical call for healing written after the 2015 riots that followed local man Freddie Gray’s death in police custody. “One Baltimore!” the children chant as Brian Prechtl, the charismatic percussion powerhouse of the Baltimore Symphony Orchestra (BSO), stalks the steps, sticks in hand, calling on the assembled guests, donors and visiting dignitaries to join in. “One Baltimore!” we yell in response, sweating profusely in the early summer heatwave. The tenth-anniversary OrchKids celebration concert has begun. Admired as the BSO is, its home city only tends to make headlines outside its home state of Maryland on account of its high levels of violent crime. As viewers of the Baltimore-set television series The Wire will be aware, the city is notorious for drugs, corruption and killing. Along with Detroit, Baltimore is one of the few American cities with a shrinking population; rows of abandoned houses with boarded-up windows are visible from the train as we arrive and trundle through the outskirts. Baltimore is often seen as the murder capital of America. In 2017 the city set a per-capita homicide record of 56 killings for every 100,000 people — the highest among the US’s 50 largest cities. It’s a fact noted with grim irony on souvenir mugs and caps in local gift shops, adorned with the brightly coloured slogan “Baltimore — There’s More Than Murder Here”. “The news about our city is sometimes very challenging,” says the BSO president and chief executive, Peter Kjome, adding that the upcoming tour to Britain and Ireland is an opportunity for the BSO to be a “cultural ambassador” and present a different side of the city. I talk to two of the young people who have been part of the programme since the beginning. They are charming and engaging: Desha Banks, 17, talks about how she would like to be a paediatrician, but “never give up music”. She says the programme gives young people something to do other than hang about on the streets. “Music was my way out,” she adds with a grin. 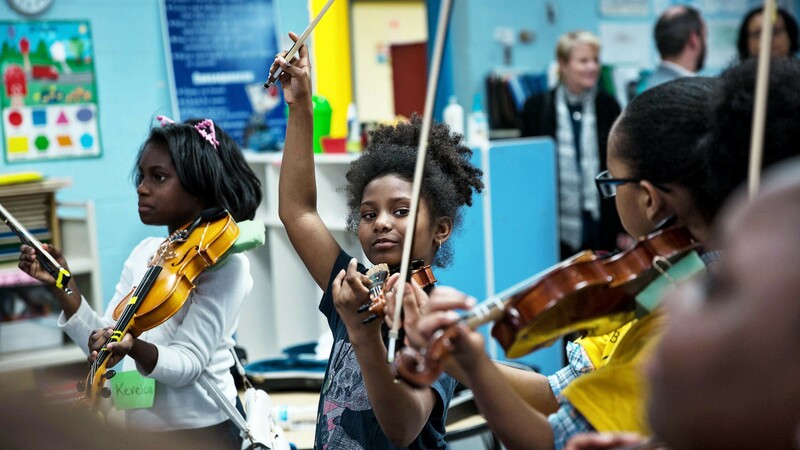 Ten years on, OrchKids now works with 1,300 students in eight schools across the city. “Most communities where we work are underserved and under-resourced, and most of the students we work with are of colour,” says the programme’s executive director, Raquel Whiting Gilmer. “At one of our really challenged schools, Booker T Washington, there was a lockdown yesterday because someone was shooting with a rifle in the neighbourhood. This is the second lockdown in three weeks. At one school. As promised, the children give their tenth-anniversary performance everything they’ve got. Alsop conducts the finale, leading an enormous ensemble of 250 young musicians, including a children’s choir, in a stirring mash-up of Ode to Joy with Estelle’s pop hit Conqueror. As the audience is brought to its feet, many people seem to have something in their eye. The BSO’s overseas tour is its first for 13 years. It will perform at the Edinburgh Festival for two nights, including a celebration on the centenary of Leonard Bernstein’s birth. Bernstein-inspired concerts follow in London for the Proms and in Dublin. It is joined by the violinist Nicola Benedetti and the pianist Jean-Yves Thibaudet on different nights in Edinburgh, with Benedetti also in Dublin and Thibaudet at the Royal Albert Hall. 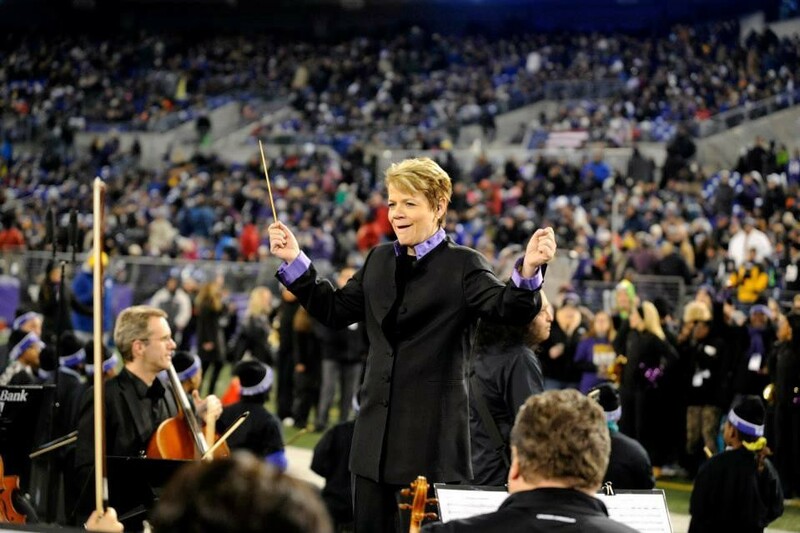 All are debuts for the orchestra, although not, of course, for Alsop, who has conducted orchestras across the world and was famously the first woman to conduct the Last Night of the Proms in 2013. “I do see this programme has made a difference to these kids,” says Alsop, reflecting on the success of her youth outreach programme. “It’s made a difference to their parents and to the community. And I know that, for these 1,300 kids, it’s probably helped them avoid some trials and tribulations — the violence is the most upsetting part.